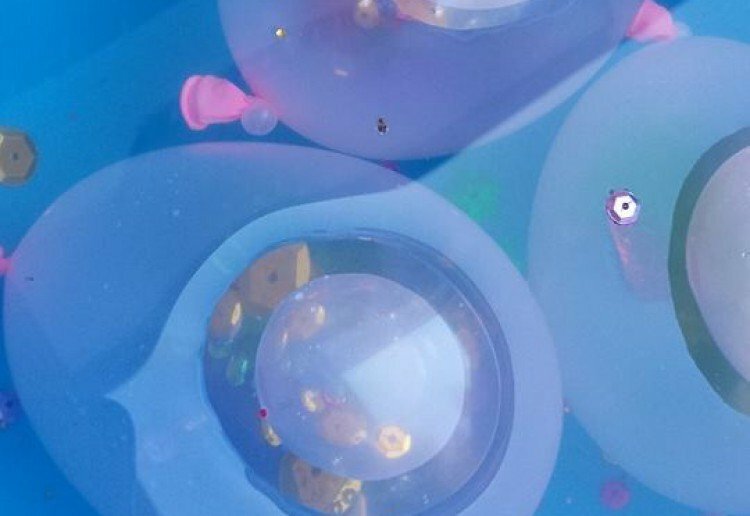 Once the balloons are full of water the sequins and glitter will float around similar to a snow globe. If they break there is no harm it’s only fun! Open up your packets of balloons, sequins and glitter. For easier play organise them into small bowls or trays. Take your funnel and put the balloon over the end. Have your children choose glitter and sequins of their choice and put in the funnel. Once filled to the child's desire with glitter/sequins fill the balloon up with water. Enjoy watching your children play with the balloons! Notes... For extra engagement you can freeze the balloons and give your kids some plastic tools to chip away or play with the round frozen bubble until it melts. We have also filled balloons up with other balloons which created some giggles. This is such a great idea. I think both of my little ones would enjoy this very much. lots of fun especially for a rainy day in the bathtub! Great idea. Thank you for sharing. Kids would have lots of fun with this project. good idea for party and fun to do with kids. Some GREAT holiday fun for my boys so glad I seen this! Ah my son loves balloons, what a great way for different play! Might try this at his bday party tomorrow. my boys would love this one! !